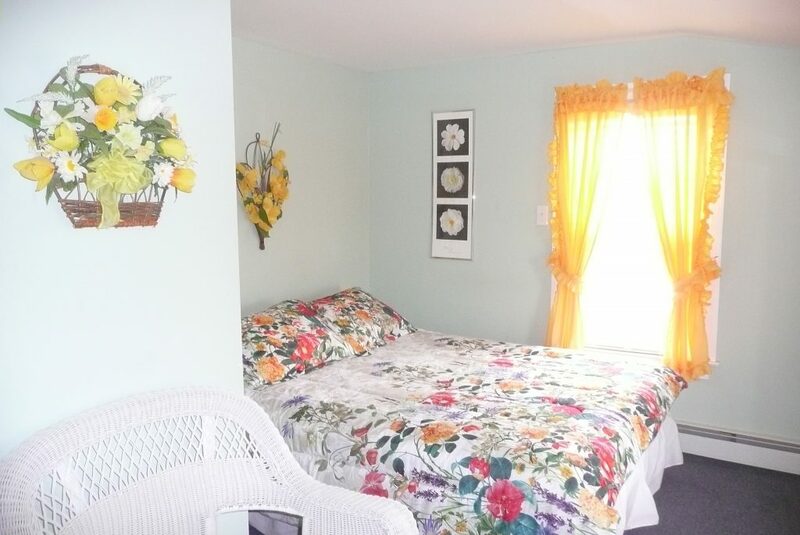 Bright yellow daisies will lighten your day as you awake from this cheerful room. 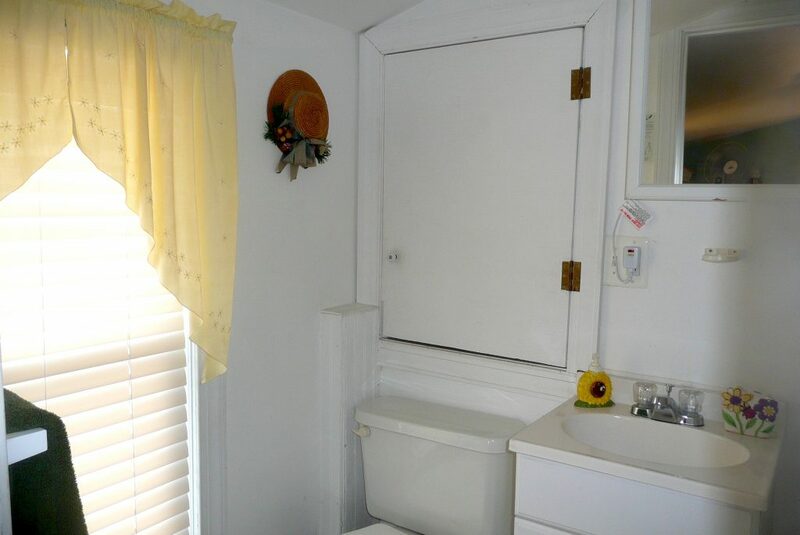 Located on the third floor, it has a private bathroom., refrigerator, cable tv and is air conditioned. 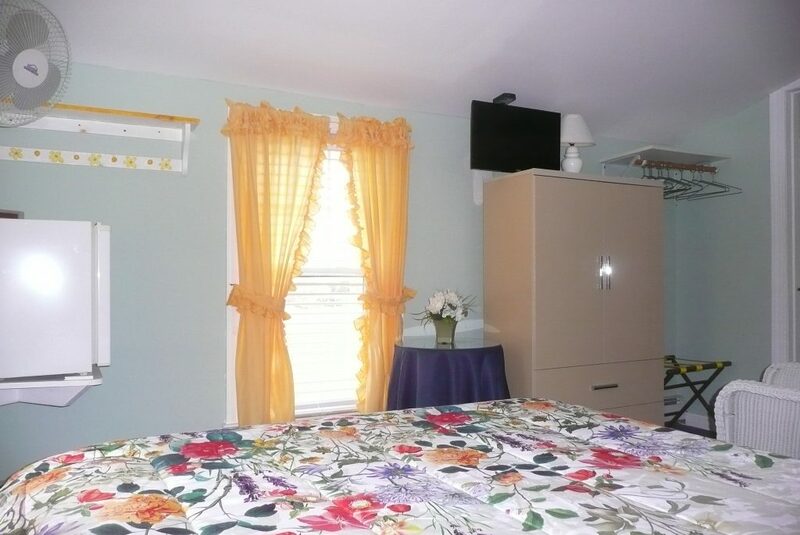 The Sunrise Room has a queen size bed.